Color: Vintage Gold color background, with a beautiful Spanish Girl Design wearing a Traditional hair clip with flowers and a Spanish Manton-shawl . This Spanish hand painted wooden fan is a high quality traditional imported fan from the most prestigious artisan in Spain. It is a very useful item during hot summer days and nights, and a beautiful accessory, you will get many compliments when using any of our items guaranteed. It fits perfectly in your purse so you can take it to any event like weddings, dinners, etc. 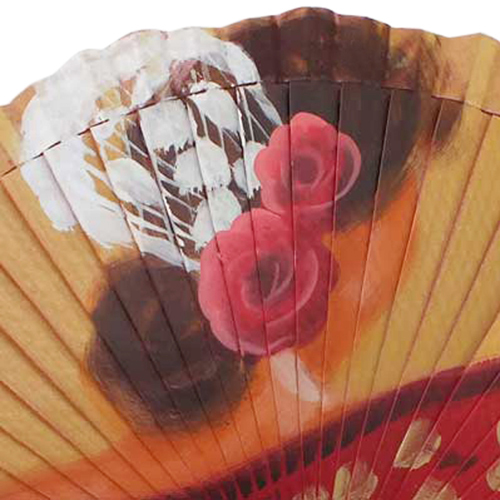 Our hand fans are usually signed by the artisan who hand paints the piece.